Please see Fixes or workarounds for recent issues in OneNote for Mac to help troubleshoot any issues installing or using the OneNote Importer for Mac. 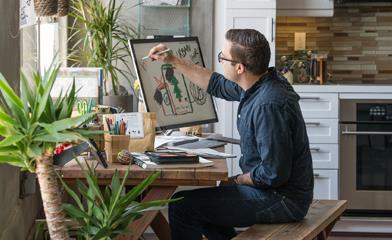 Since last March, we have helped Windows users import 71 million Evernote pages to OneNote. Following the great feedback we received, we want to help even more people make the move. Today, we are launching the OneNote Importer tool for Mac. You may feel hesitant about moving all your notes from a place you know to a new online home. Don’t worry, the Importer tool makes moving day easy. Download the OneNote Importer tool. 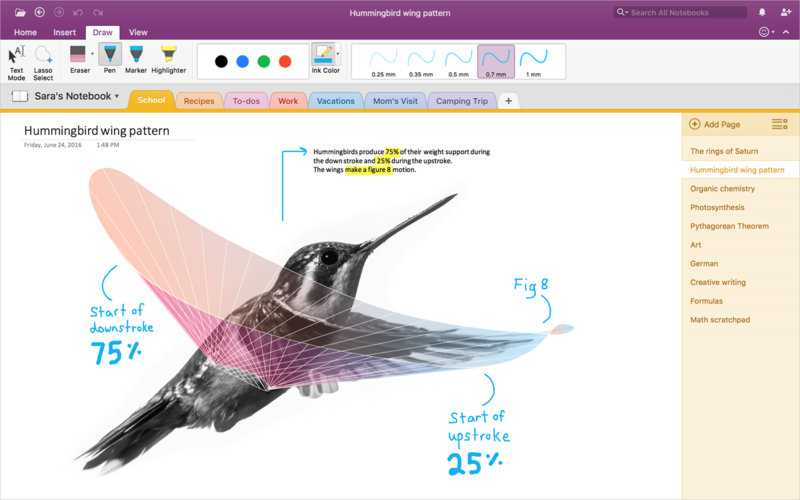 OneNote lets you work the way you want. You can get your ideas down in a range of ways that include typing, inking, embedding videos, recording audio or clipping web content. If you prefer to use paper and pen, you can even scan that content with OneNote to make it digital, searchable and available from your phone to your laptop. We’ve heard that many Evernote users rely heavily on their clipper. OneNote has a great clipper for all major browsers, available for free at OneNote.com/clipper. We upgrade it all the time, and you can read the OneNote July roundup for the latest updates. OneNote lets you sync all your notes across all your devices—for free. It is part of the Office family and works seamlessly with Outlook, Word, Excel and PowerPoint to help you stay organized, collaborate and get more done. 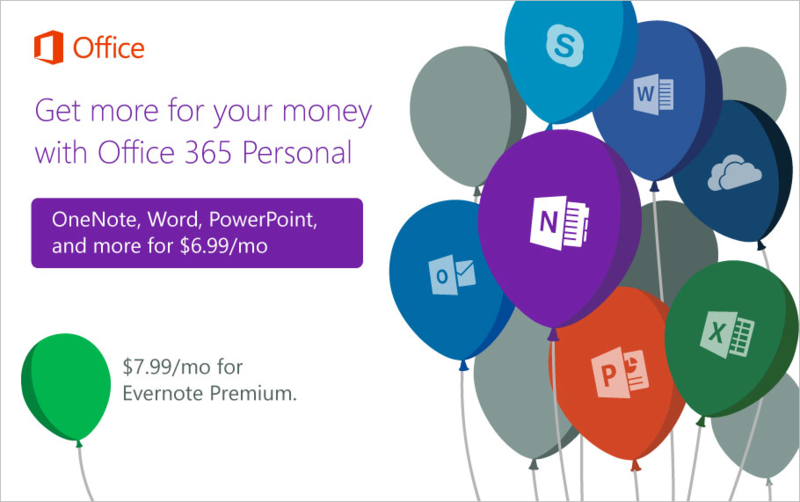 Following Evernote’s recent price changes—their Premium offer ($69.99/year) is now the same price as Office 365 Personal ($69.99/year). Office 365 gives you OneNote, plus all the Office apps you know and love that are always up to date, and 1 TB of cloud storage. A Mac with OS X 10.11+ (El Capitan). Once your Evernote notes are imported, they’ll sync across all your devices, including PC, iOS and Android, as well as web browsers—for free. To speed up the migration process, it is recommended you have Evernote for Mac installed from the Evernote website. Sign in to Evernote for Mac with your Evernote account and make sure your latest notes are synced before importing. Download the OneNote Importer tool and visit our Support page for more information and step-by-step instructions. And don’t forget to send us feedback and ask questions at OneNote UserVoice or tweet us at @msonenote. The OneNote team wants to do everything possible to help you feel confident about choosing to try OneNote.